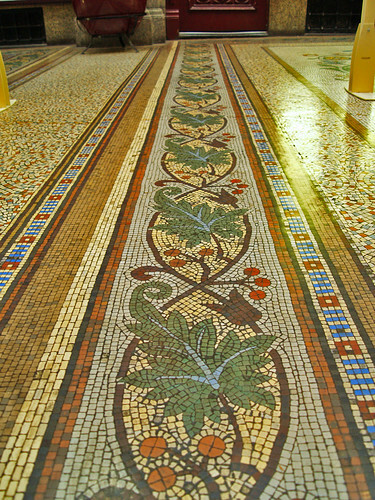 Mosaic Floor Detail, originally uploaded by benrobertsabq. 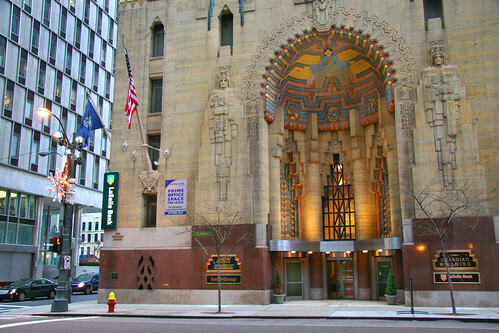 Guardian Building Entrance, Griswold Street, originally uploaded by gsgeorge. When people think of Detroit, most think of the car industry or its unfortunate reputation as a hotbed of crime. Certainly when I listen to my friends who actually live in Detroit, there is a lot of talk about problem hotspots in the city area. What you don’t hear about is the arts scene. At least not to the same extent as other cities such as San Francisco. 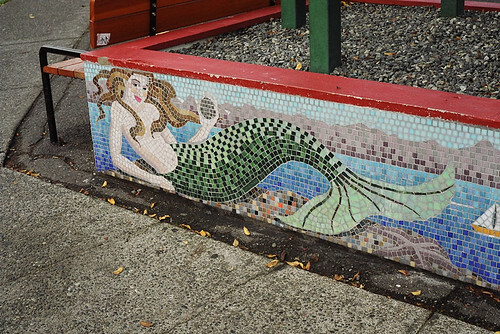 However there are some magnificent examples of mosaic at least that are as good as any other in the USA. Guardian Building Elevator Lobby, originally uploaded by gsgeorge. 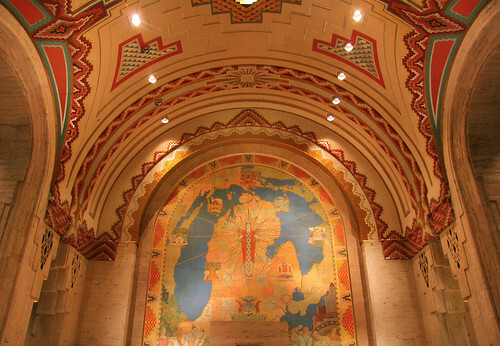 The Guardian building is probably the best known. 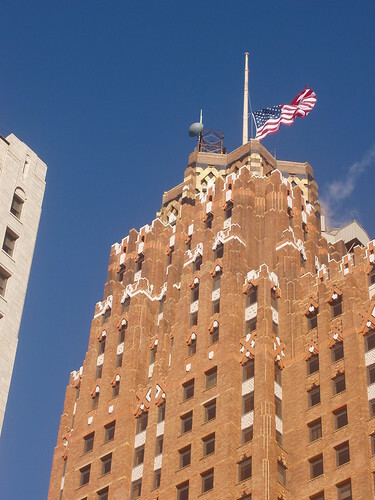 “The Guardian Building, a National Historic Landmark, is a skyscraper in downtown Detroit, Michigan. Built in 1928 and finished in 1929, the building (originally called the Union Trust Building) is a bold example of Art Deco architecture, including some art moderne designs. Guardian Gate, originally uploaded by ifmuth. The main frame of the skyscraper rises 36 stories, capped by two asymmetric spires, one extending for four additional stories. The height of the building is 489 feet (149 m). Guardian Crown, originally uploaded by ifmuth. The exterior blends brickwork with tile, limestone, and terra cotta. 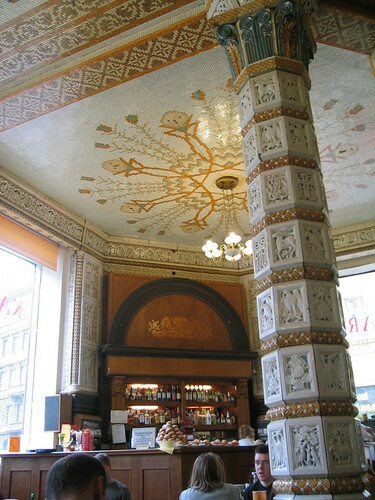 Nicknamed the “Cathedral of Finance,” the building’s interior is lavishly decorated with mosaic and Pewabic and Rookwood tile. 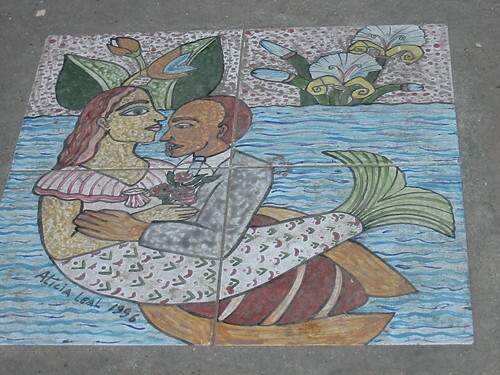 Mosaic Tunnel, originally uploaded by Amusos. 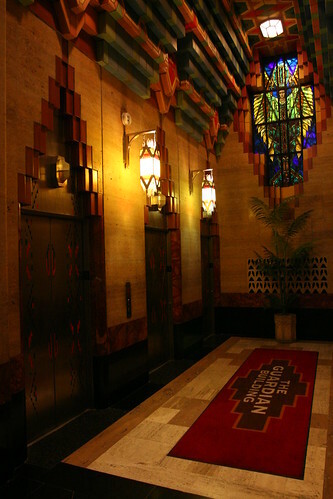 Native American themes are common inside and outside the building. The building is on the National Register of Historic Places and has undergone recent award-winning renovations. 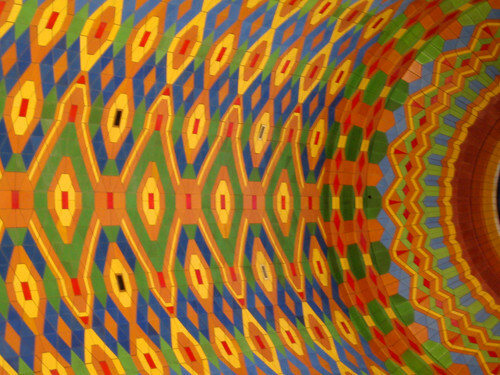 Guardian Building Ceiling, originally uploaded by gsgeorge. 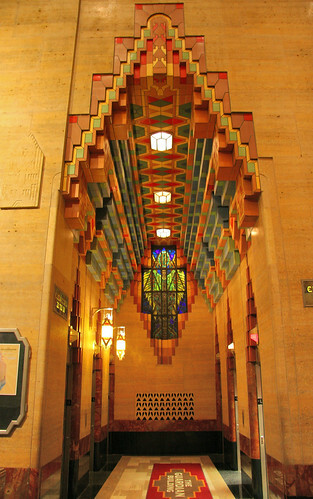 Guardian Building – Elevator Lobby, originally uploaded by string_bass_dave. The building was purchased by Sterling Group in 2004. Under the Group’s watch, the Guardian’s office occupancy rate has nearly doubled, its promenade has been opened to the public for the first time in decades, and the building now has a doorman. Since this time the building has received exterior lighting accents at night and a new entrance canopy. Deco Light, originally uploaded by detroitsky. 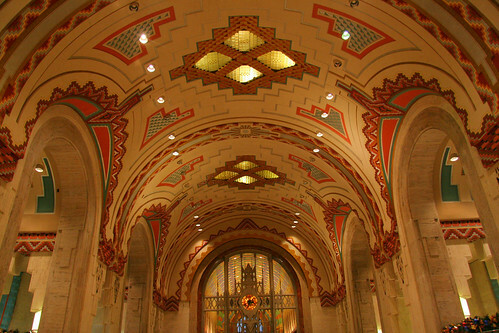 Guardian Building Detroit, originally uploaded by Gradys Kitchen. Guardian Building Michigan Mural, originally uploaded by gsgeorge. Sooke Harbor House, originally uploaded by feserc. Basilica di S. Giovanni Evangelista, originally uploaded by taivaansusi. 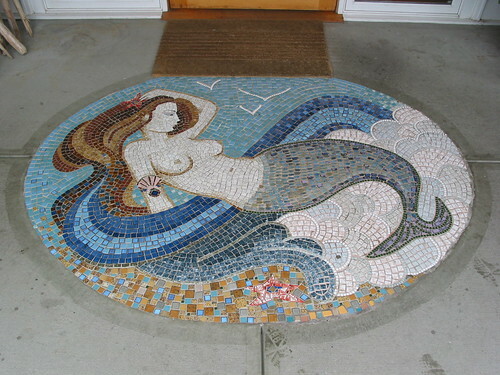 Mosaic Mermaid, originally uploaded by FaeryDi. 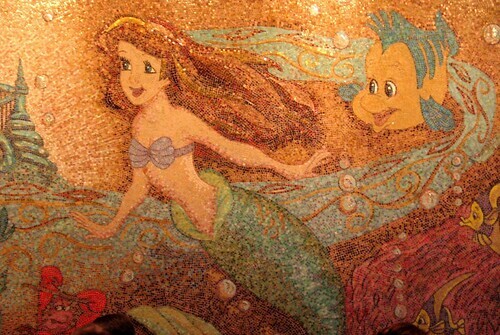 Sirena, originally uploaded by chmeee. Outside Hotel Inglaterra, originally uploaded by florriebassingbourn. 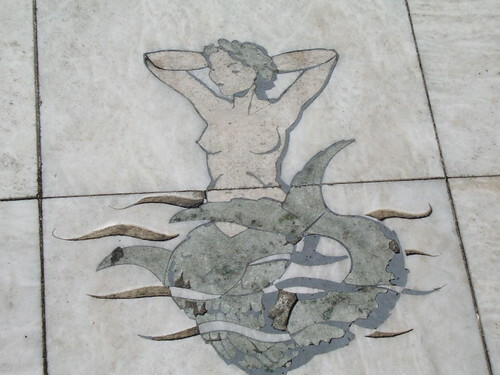 Casino Mermaid II, originally uploaded by casual clicks. 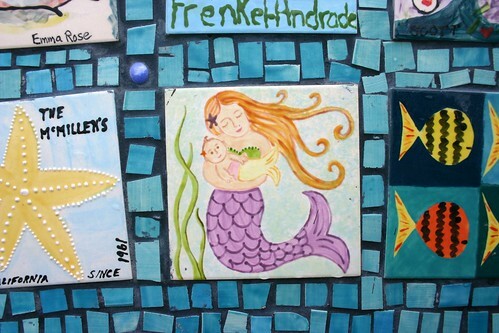 Mermaid Fountain Detail, originally uploaded by RTC1. 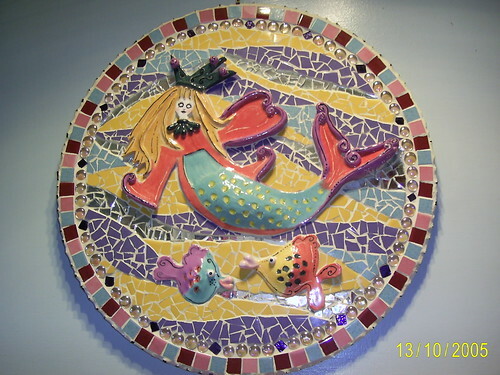 Mermaid Mosaic 1, originally uploaded by firemind. Triton’s, originally uploaded by mgmcinnis. 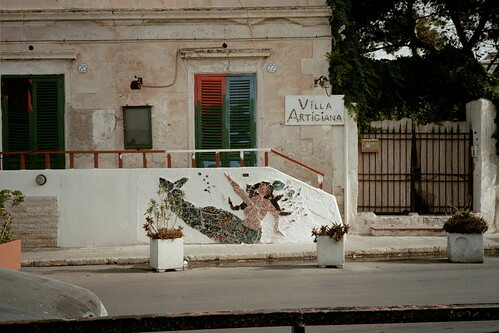 pretty mermaid, originally uploaded by dotpolka. 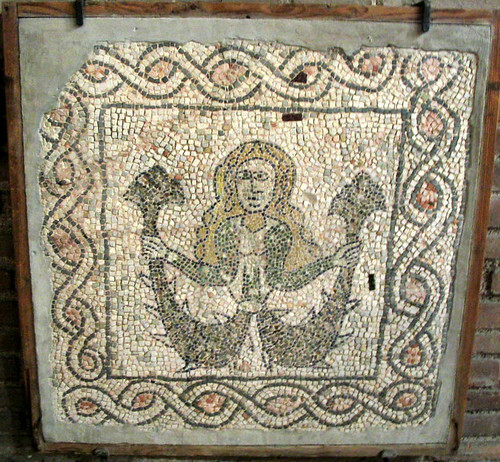 Mondello mermaid mosaic, originally uploaded by liberalmind1012. spurts, originally uploaded by Quincunx. 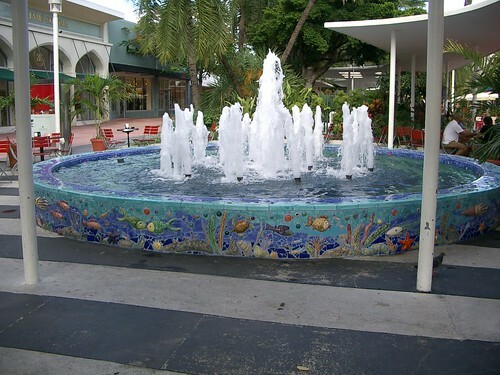 I can happily say from personal experience that the Art Deco of Miami Beach is worth checking out with its tropical flavour. 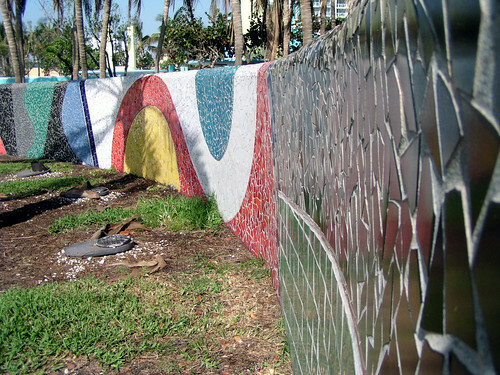 Mosaic was a feature of that time period so you can find interesting mosaic as well as the spectacular architecture. 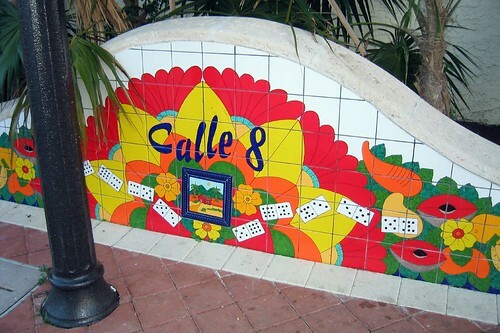 Miami – Little Havana: Calle Ocho, originally uploaded by wallyg. Mosaic, originally uploaded by jpeepz.